Fields never got around to writing his autobiography, but at his death in 1946, he left behind a vast assortment of notes, outlines, scrapbooks, letters, scripts, scenarios, and photographs. Now his grandson, Ronald J. Fields, has edited and woven this wealth of previously unpublished material into a unique new portrait of the Great One--in his own words. 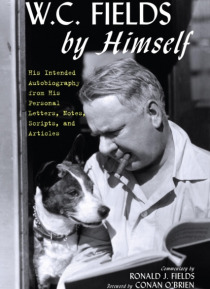 This book establishes the true facts about… W.C. Fieldss early years: how, around 1895, he really got started juggling; how met his future wife Hattie; and how he felt about his incessant tours, triumphs, and film career.